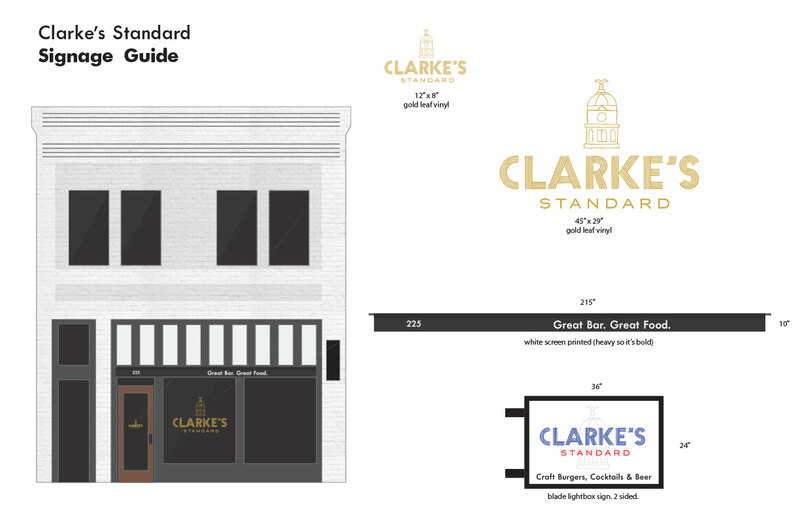 Brand Positioning, Identity Design, Art Direction, and Interior Design. 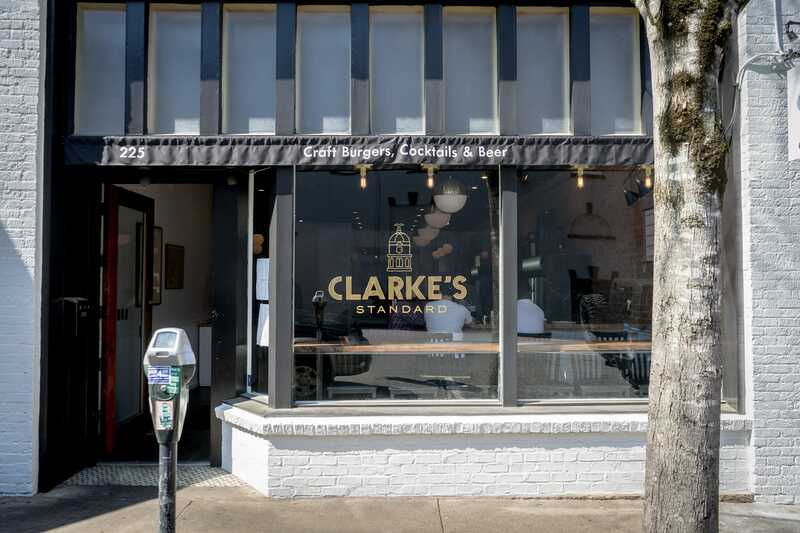 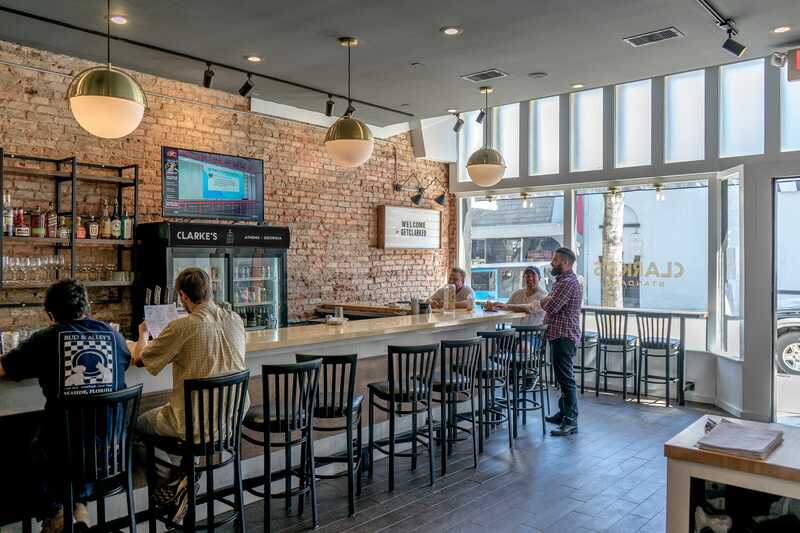 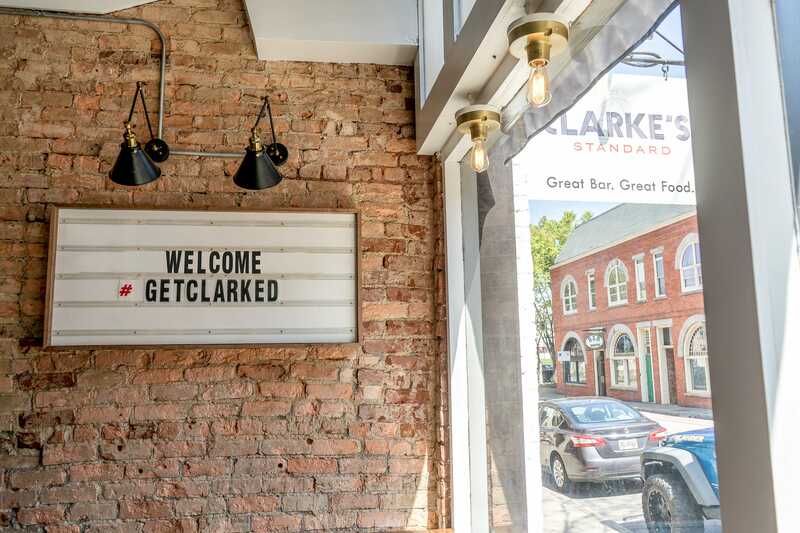 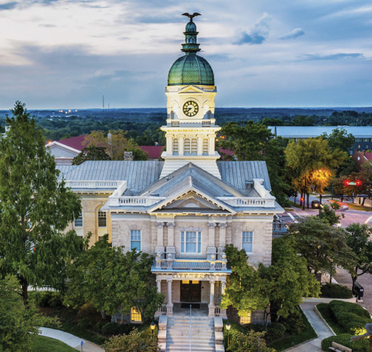 A 1950’s municipal inspired restaurant and bar in Athens, GA.
Clarke’s identity draws from Athens-Clarke County City Hall buildings’ cupola as it’s icon tying it to the very familiar view but often unused visual language of downtown establishments. 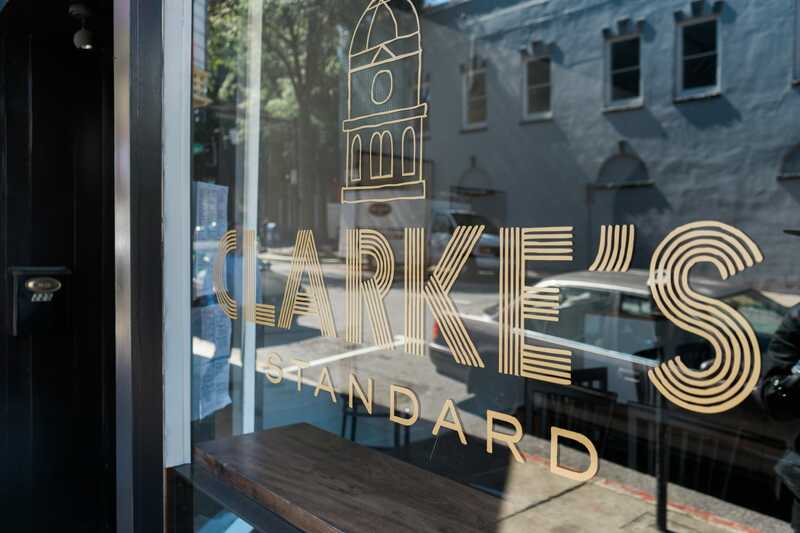 White painted brick and stark black trim with gold lettering on windows brought a previously ill-painted storefront back to an appropriate aesthetic. 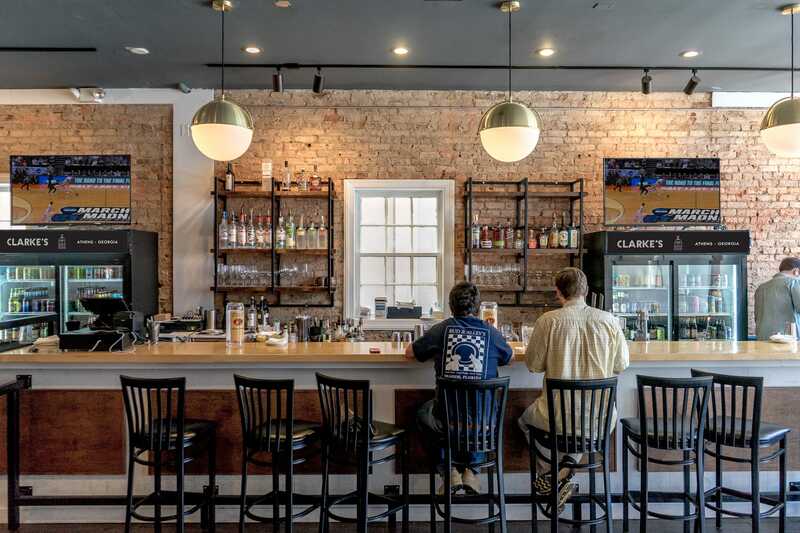 Interiors with brass globe light fixtures, mixed wood tones, and original exposed brick complete the spaces’ nod to 1950’s Athens. 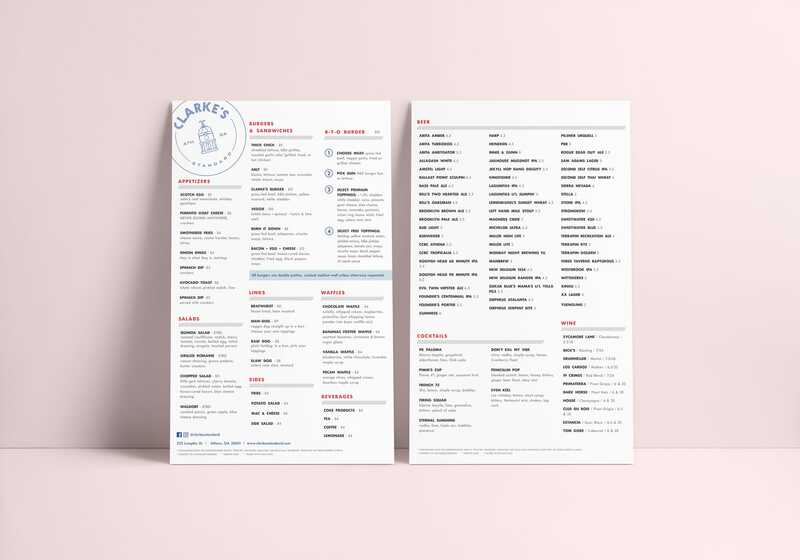 The brand is rounded out with the identities use of WWII era typefaces along side of a strong but restrained use of red and blue palettes.